I’ve never been myself, but if games have taught me anything about the 80s, it’s that they were wild. Big hair, big clothes, big music – it was all there. If you were to use Grand Theft Auto: Vice City as a sole reference for the period, you’d assume that everyone was constantly walking around to the beat of their own pulsing, synth-infused soundtrack. When 80s-inspired games come to mind, you’re probably reminded of excessive action, neon-laced landscapes, and other stylised sensibilities. The games industry seems to be obsessed with this flashy, bitchin’ decade – or, at least, a version of it. Point being: it doesn’t have to be like this. It’s not just games, but also film, television, and music that tend to sensationalise the 80s. After all, remembering the bad parts of anything is no fun. But a look at the Steam store will see you up to your eyelids in retro throwbacks to an era when everyone was falling over their Rubik’s cubes. Mega Man, Beat Cop, Retro City Rampage. There’s good reason for this. Many developers are not just paying homage to the time where games took mainstream flight, but channeling the decade’s ‘energy’ into their own worlds and stories. It’s not just about presentation, but the mood and atmosphere as well. 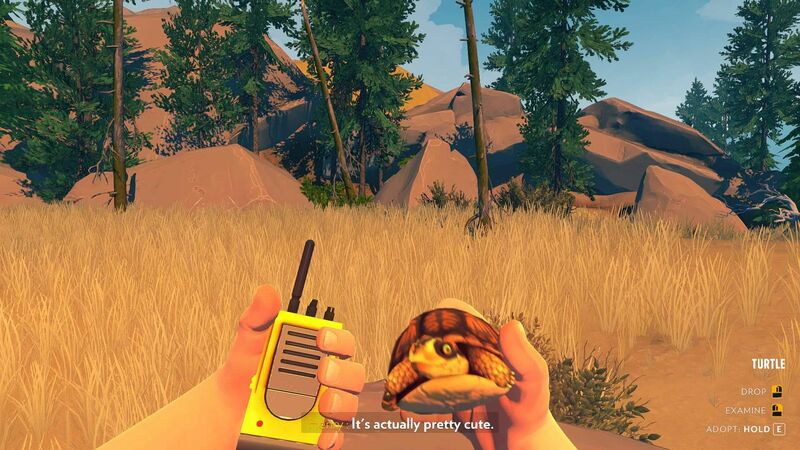 There’s no better example of this than Hotline Miami. 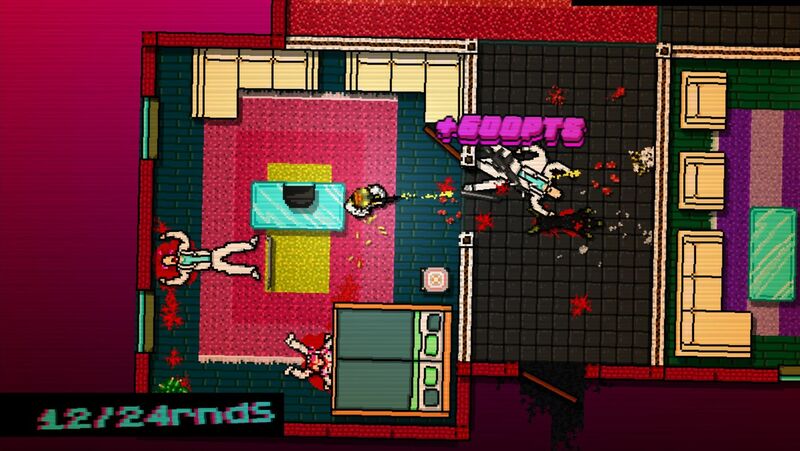 Placing you in the role of a nameless jacketed killer (thank you, Ryan Gosling), Hotline Miami draws a lot from Drive, which itself assimilated the 1980s. But looking closer, it’s clear that the game’s attitude embodies the “shoot first, ask questions later” notion that so much media of that time period was dripping with. It’s fast, frantic, and brutal: three adjectives that wouldn’t feel out of place in the IMDb keywords section of any Schwarzenegger or Stallone film. Like the inspirations it’s pulling from, it would rather romanticise the concept of violence than portray an accurate snapshot of the 80s. The game’s ‘fever dream’ final reveal serves as a stiffening reminder that everything isn’t always as it seems. 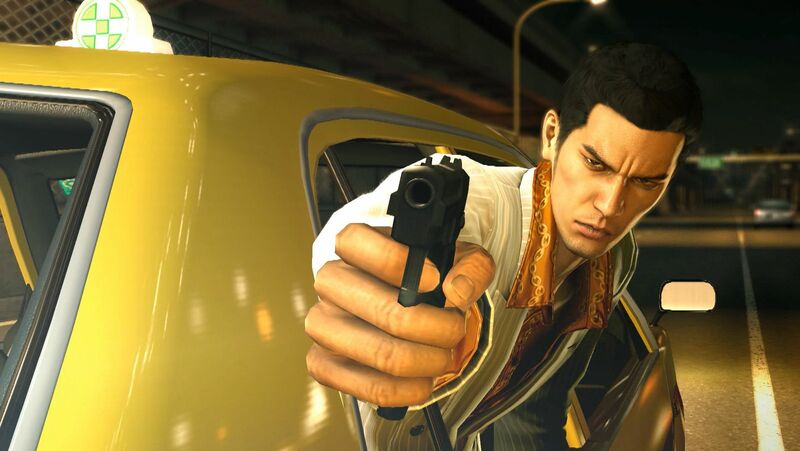 More recently, Yakuza 0 introduced PC gamers to a series that thrives on excess and exaggeration, an underworld crime drama full of schoolboy-style antics. In this prequel, Sega saw fit to wind the clock back to 1988 Japan. By doing this, Yakuza’s absurdity could unabashedly flourish. Of course, the explicit juxtaposition between serious criminal drama and silly minigames is partly why the series is so well-liked. Helicopter kicking? Go on then. Disco dancing and air guitar? Just try and stop me. But in a way, the setting also makes it more plausible. A Kabukicho free of modern technology weirdly makes zany actions you perform as Kazuma Kiryu more acceptable, simply because we’re so used to seeing the 1980s be portrayed as ridiculous anyway. In 1988, Yakuza can cut loose and roam free like never before. However, as fun as it is to twitch with the frantic action of Hotline Miami, or sing Karaoke with Kiryu in Yakuza 0, it’s possible to use this time period as more than just a flashy backdrop. It might come as a shock to consider, but the infamously eccentric Metal Gear series serves as a good example. 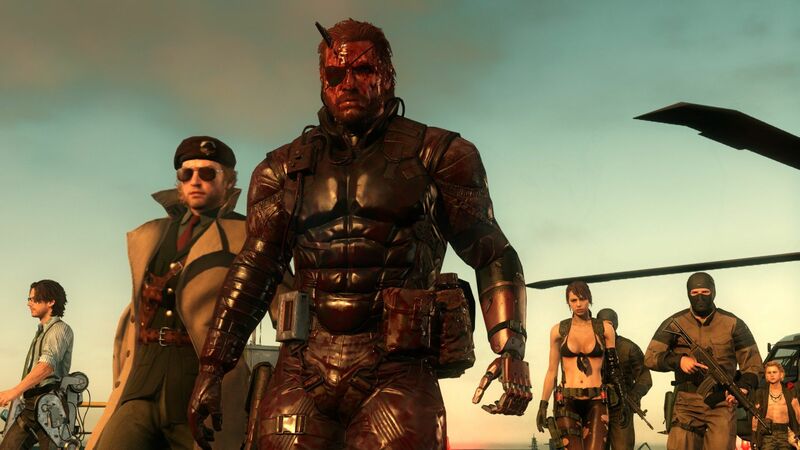 Metal Gear Solid V: The Phantom Pain is set during the latter half of the cold war, when international tensions were high and there was a cause for – ahem – tactical espionage action. It’s depiction of 1984 chooses to soak the player in conspiratorial world history rather than paint it as the fun decade we’re so used to seeing. It does borrow some Bowie on cassette for the helicopter ride, yes. But it is also politically-charged, patient, and gritty, all elements which work to prove that the 80s can be just as entertaining a setting when not handled garishly. And then the giant mechs turn up. Perhaps we need a better example. Something without giant mechs, but still able to set an 80s atmosphere free of large jackets and electronic beats. How about Firewatch? Admittedly, its story takes place right on the cusp of the decade, where the 80s end and the 90s begin. But it smartly uses the low-fi technology of the time to fully commit to the sense of isolation it wraps you up in. As rookie fire lookout Henry, you never need anything grandiose to tempt you further through the forest. It’s an 80s game free from the typical bombast, cocaine and neon. It’s no accident that the only light present in the game is natural, not artificial. For every game that chooses to evoke the 80s as a quirky, tawdry, almost nihilistic period, I give credit to the small few who take the extra leap to dig under the decade’s otherwise superficial surface. 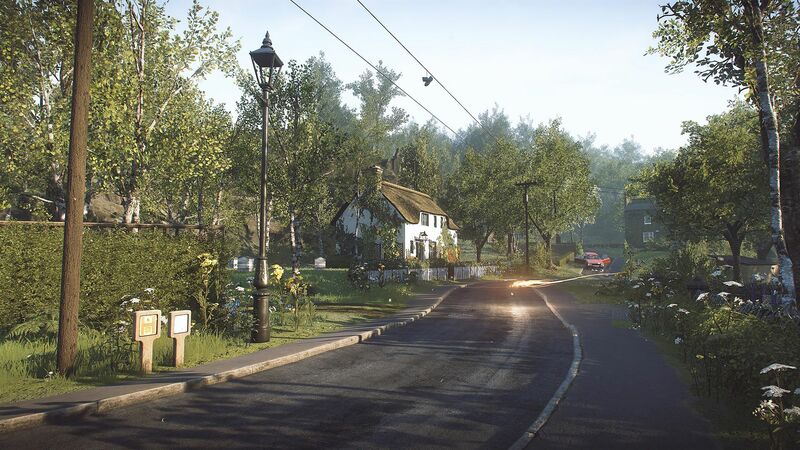 There’s the melancholic, but strangely beautiful atmosphere of Everybody’s Gone To The Rapture and its quaint English village of 1984. And Stories Untold, which summons a nightmarish vision of the era using low-fi computers and tech. It’s often more refreshing to get right into the grit of a topic or time rather than the so obviously rose-tinted depictions we’re commonly used to seeing. All this isn’t to say that games which portray the 80s at the opposite end of the spectrum don’t have their charm. Sometimes, the temptation of the synth proves too enticing. It’s just that there are various angles from which games can choose to show an appreciation of our favourite decades. Why always go for the expected pinks and purples? After all, for all the bright spectacle offered by most titles, it’s those that are subtler in their approach that have left an impact on me. 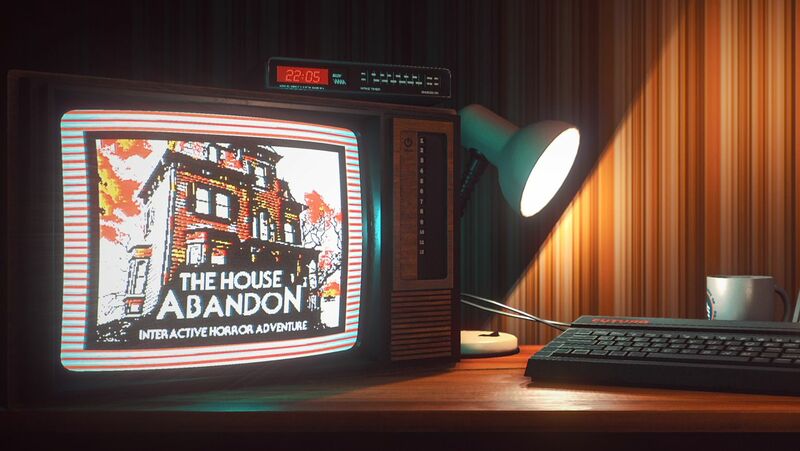 It could be that, as children of the 80s themselves, the new developers rising through the ranks have an unabashed appreciation for the time and want to see its fun spirit live on. It’s fine to be brash and colourful sometimes, but the decade doesn’t always need to fit that stereotype.